I have been using all of our new people products since they were introduced at the 2016 convention. I was very impressed with the products and with Keri . 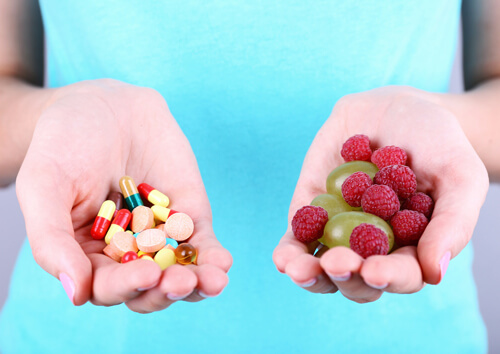 I especially like the multivitamins because of vast amount of nutrition packed into them. I especially like the mushroom blend and how that can keep me healthy. People beliefs are limping behind reality. I am taking supplements for many years, another kind which was studied and produced by my brother who is a medical doctor interested in preventing illnesses. I hardly ever have any cold or influenza, and if I get it it is very mild in comparison to all the people around me. So I can really recommend to add supplements to your diet. You need to check out where your potential lacks are and chose the right ones for you.- and begin to eat better. It always helps, but unfortunately is not enough. Great article! Very true with the fast pace life most of us live, we really don't have the time to get all our essential nutrients. love your vitamins and probiodics! !